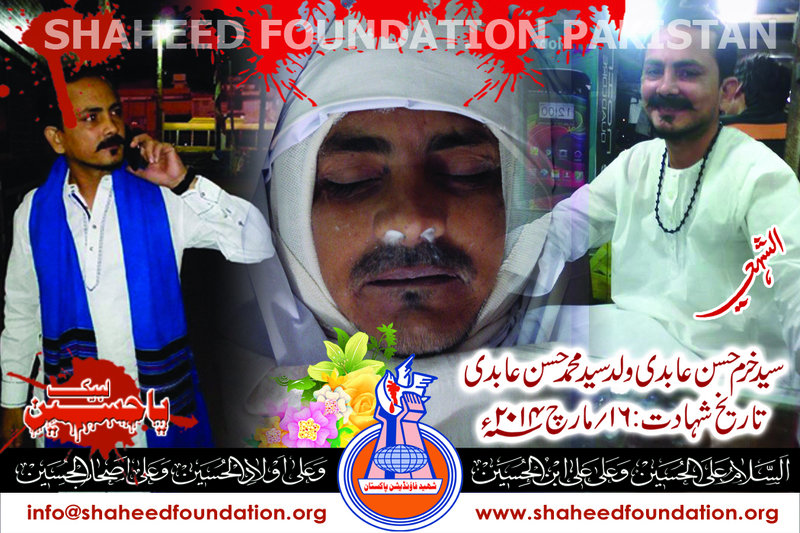 Syed Khurram Hasan Abidi s/o Syed M.Hasan embraced martydom when yazidi terrorists opened fire on him. 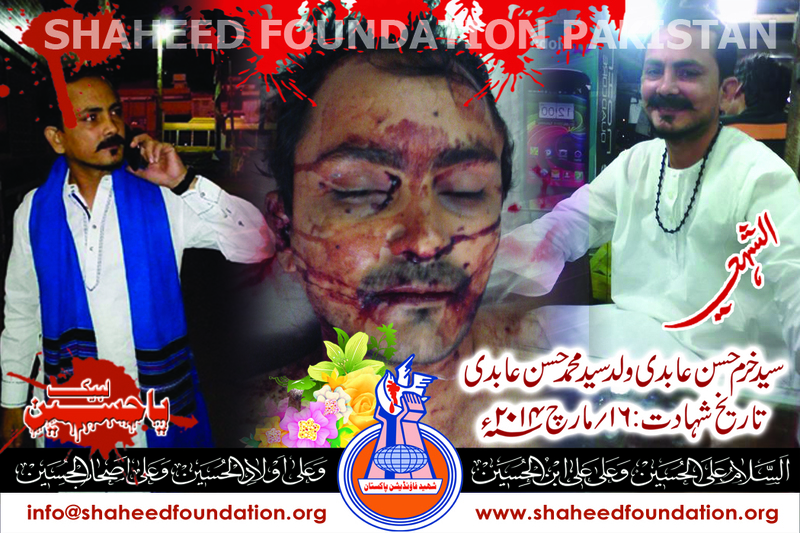 The incident occurred last night near Peoples chowrangi, when he was returning from his mobile shop in Serena market. He was an ex-working committee member of Shaheed Foundation Pakistan. 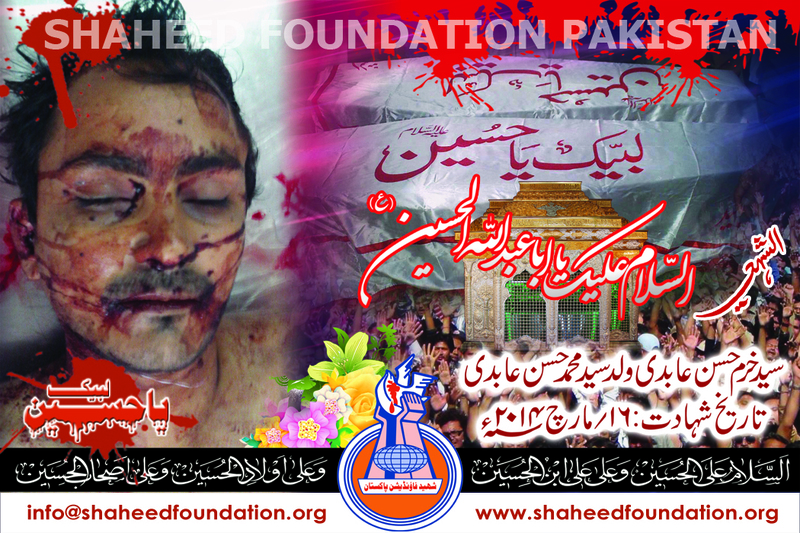 He was also member of Anjuman-e-Fida-e-Ahl-e-Bait. 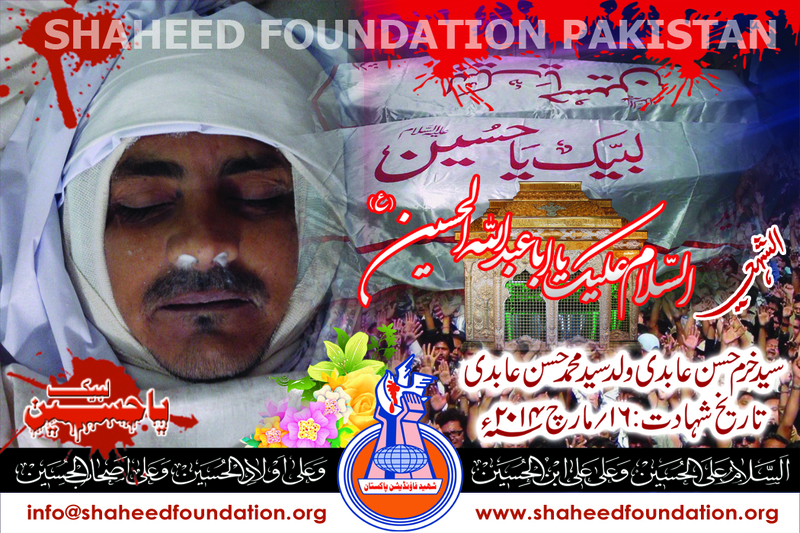 Shaheed was instrumental in consolidating the system of serving families of martyrs as an active member of working committee for several consecutive years between 1999 and 2002 . 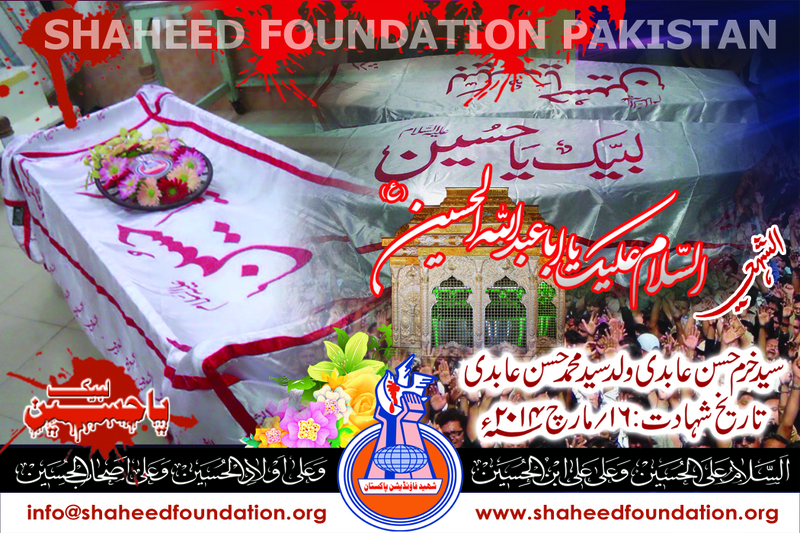 Those were the days when the institution was in very nascent stages and it was the blessing of Imam-e-Zamana [atfs] that a conscientious momin like him had joined the caravan and garnered a lot of support for the lofted cause of martyrs in his friends and acquaintances. 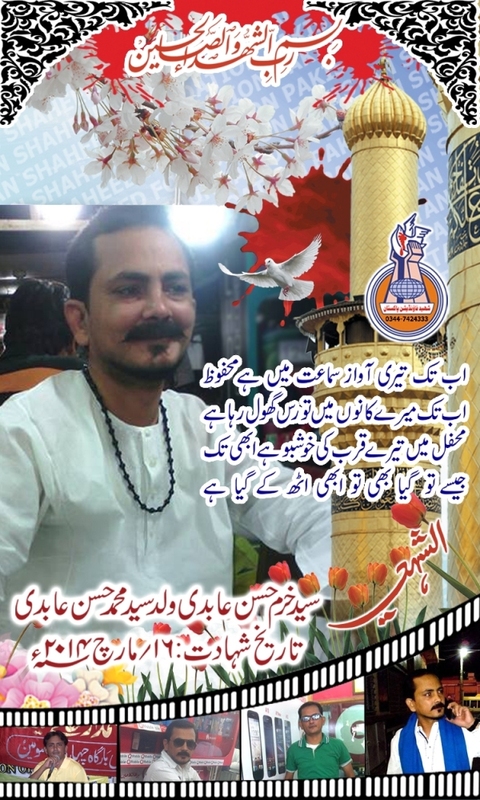 He had the honour of directly serving in the Khanwada-e-Shohada department and was assigned responsibility of some families of martyrs in Karachi . He painstakingly took care of issues related to families and serving the children and families of the benefactors of Millat-e-Jaffaria Pakistan . 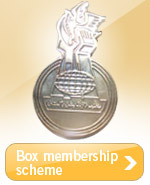 He is remembered for his untiring efforts and exceptionally courteous behaviour. 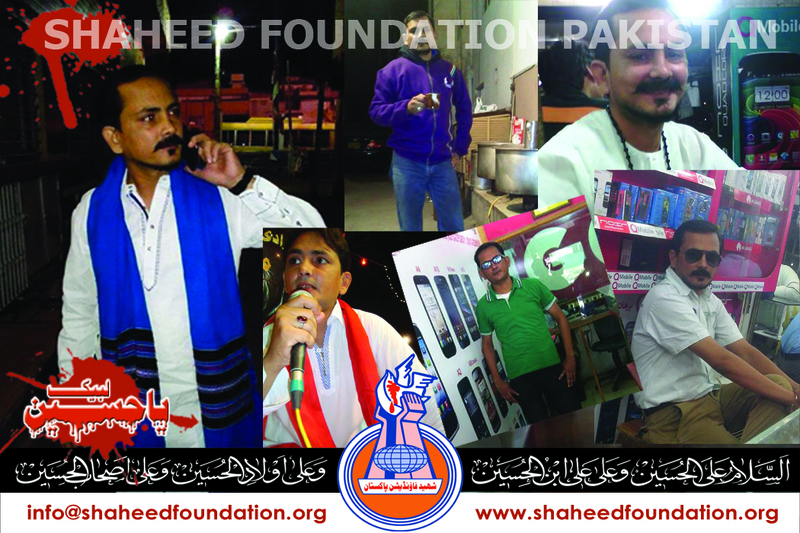 Even later ,he continued to remain in touch with the brothers and always happily accepted responsibilities and participated in Shaheed Foundation's programs with a lively sense of dutifulness. 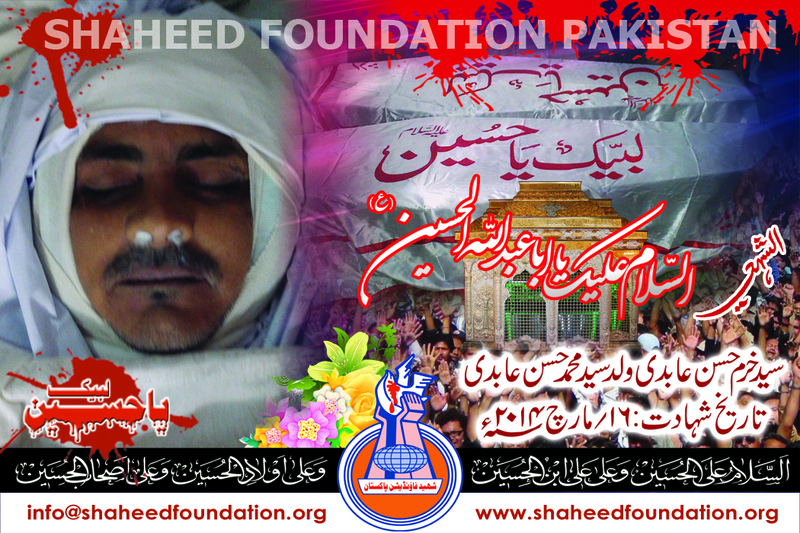 Central Committee Shaheed Foundation Pakistan extends heartfelt condolences on behalf of entire team to Imam-e-Zamana [atfs] and Khanwada-e-Shohada on the martyrdom of this noble lover of Maula Hussain [AS] and his followers. In the same breath, a heartiest greeting is due for this gem for finally calling it a day in a manner he earnestly wished for ,by embracing martyrdom on the glorious path of Ahlul Bayt[AS]. Indeed ,fortunate are the ones whose glorious departure from this world is a true reflection of their noble lives. We beseech Imam-e-Zamana [atfs] to pray for strengthening the resolve of Millat against the yazidiat of present era and provide us courage to stand with steadfastness till we join the ranks with the beloved martyrs . 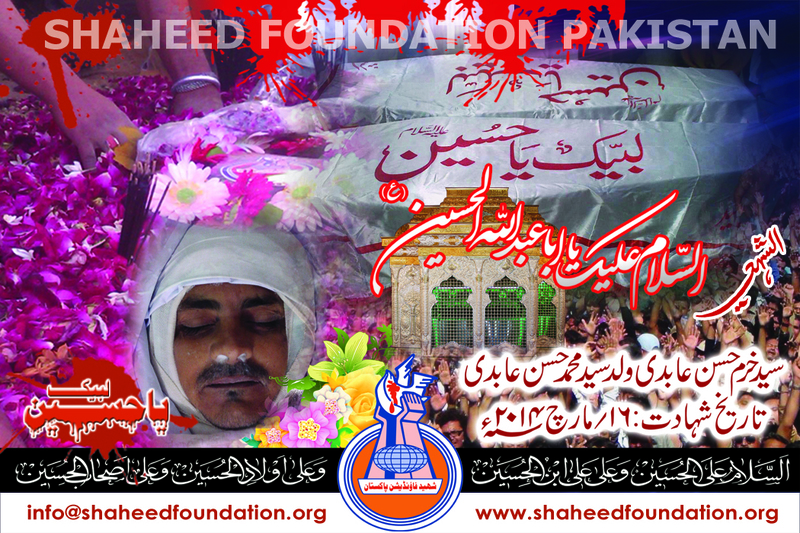 Namaz-e-Janaza of Shaheed Khurram was offered after namaz-e-Zohrain in Masjid-e-Khair-ul-Amal, Ancholi, while tadfeen was done in Wadi-e-Hussain[AS] graveyard . Maulana Hasan Rizvi led the namaz-e-janaza prayers in which scores of hundreds of lovers of Ahlul Bayt turned up to say farewell to the sincere soul amid tears and cries . 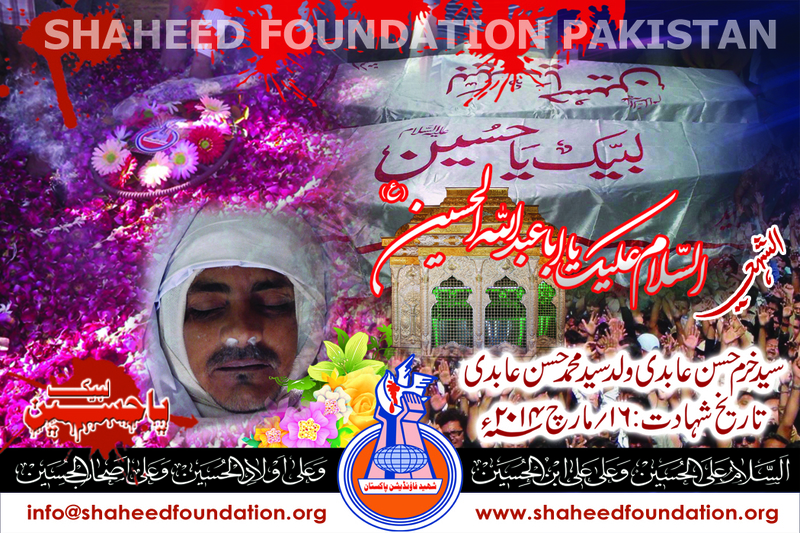 Majlis-e-Soyam will be held on 18-March-2014 at 4:00pm in Imambargah Shohada-e-Karbala, Ancholi Karachi. 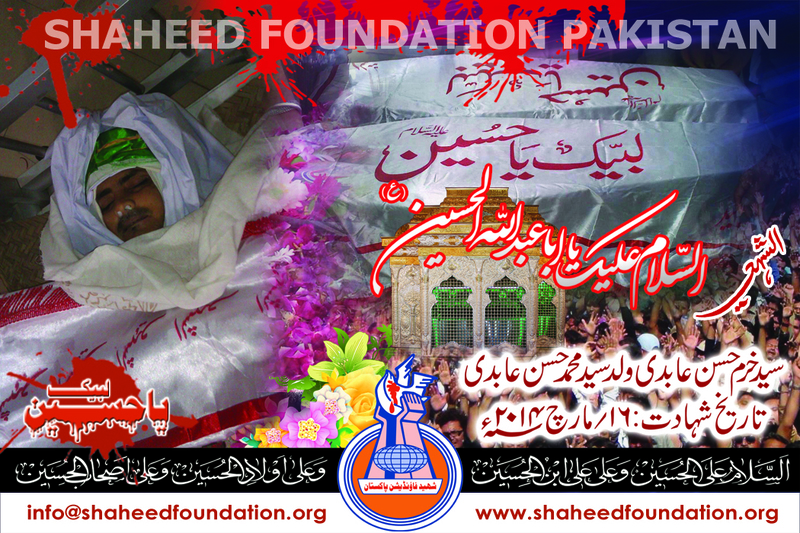 Please recite a fateha for Shaheed Khurram Hasan and Shohada-e-Millat-e-Jaffaria Pakistan.